Seminar on Minimum Medicine Maximum Health held on Feb 26 2018 at MGSIPA | S.P.E.A.K. Why has India’s health system translated from one that promoted preventive treatment to one that promotes curative treatment? Why is it that the primary health care which is the gateway to health care being ignored with impunity ? Why do people no longer have faith in the primary health care set up ? These were some of the pertinent issues that were taken up at a seminar at Mahatma Gandhi State Institute of Public Administration, Punjab in Chandigarh. The participants dealt with ‘Convergence of Doctors, Civil Society, Administrators and Media for Welfare of Senior Citizens’ at the event organised by Society for Promotion of Ethical and Affordable Healthcare (SPEAK) a platform where professionals from various fields including some doctors and bureaucrats have come together to educate the masses on the wrong practices in the health system and promote healthcare. He contended that while very little is being spent on promoting good health, the resources are being diverted towards patient care. He underlined that the medical test packages being promoted these days are a big hoax that can lead any normal person to become a patient by making him feel sick. His emphasis was that the people need to think before going to a hospital and they can dwell on the factors that are responsible for making them unwell. These can be things like dehydration, sleep deprivation, anemia, lack of exercise, over work and over ambition that often lead to stress, sadness and fatigue besides lack of sunlight and inadequate ventilation. Presenting some disturbing facts for a city like Chandigarh, Dr Kumar disclosed that 61 per cent suffer from insomnia and the number of sleep deprived people is much higher. He said that with very few people going for daily exercise the obesity rate is very high which in turn is reflected in the high number of diabetics. He also pointed that almost 90 per cent of the people suffer from Vitamin D deficiency because they do not take in enough sunlight preferring to remain indoors even during winters. He was critical of the media, particularly the electronic media’ not playing its role when it comes to reporting on health and pointed that this is creating a crisis of great vulnerability. Meanwhile eminent gastro-entrology expert Dr Jang Dilawari believes that the need of the time is to focus on minimum medicine and maximum health. Explaining the social determinants of health he explained that how lack of education leads to poverty which in turn leads to malnutrition and ill health. This is a cycle that needs to be broken. He also said that an increase in per capita income leads to an increase in life expectancy. 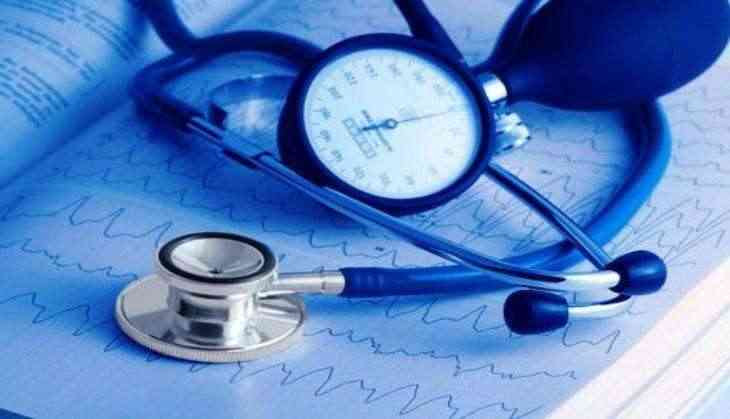 Dr Dilawari who is a former professor from the Post Graduate Institute of Medical Education and Research (PGIMER), one of the premier medical institutions of the country, came out with some glaring facts about the health scenario in India. He explained that with more than 70 per cent of the people being compelled to pay from their own pocket for treatments, at least 60 million are pushed into poverty every year. The country is dealing with 45 per cent shortfall of doctors, 70 per cent nurses and 95 per cent of allied health professionals. “We are a dying society and not a health generating one. Our immunisation rate of 70 per cent, infant mortality rate of 48 place us below countries like Sri Lanka on health index. Forty per cent of our children below the age of five years are under nourished and are not optimally developed. We have 63 million diabetics and 28 million patients of hypertension. We loose 18 million productive years annually. We have world class tertiary health care without even the basic primary health care which is a gatekeeper,” he explained. He pointed that a mere increase of 0.5 per cent GDP allocation to health care which presently stands at 1.2 per cent can lead to provision of free essential medicines to everyone. “I suggest that universal health coverage should be provided to all including the elite who would otherwise not allow it to function. There is also a need to revitalise primary health care. Things would be much better if he GDP allocation to health can go up to 2.5 per cent. Why can’t this be done when the country can spend 13 per cent of the GDP on defence?,” Dr Dilawari pointed.